MRC coordinator Jenny Stirling said it was a great gesture by the weavers and spinners to invite the women along, and both groups had gained a lot. She said the language barrier made interaction difficult at times, but that was overcome by their common interest. “It was a situation where equals met and the language of English didn’t seem to matter so much,” she said. Ms Stirling said the weavers and spinners were amazed at how the visitors “sat down at a machine and bang, they picked it up straight away. Spinners and weavers member Jan French said the group “greatly enjoyed” the visit of the ladies. 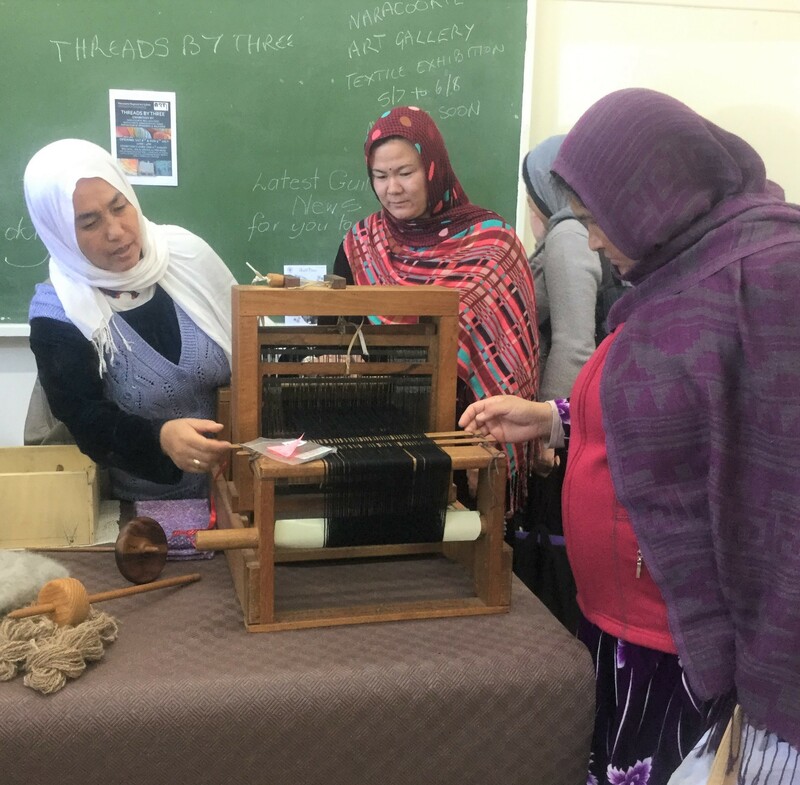 “Although understanding another’s language was tricky, spinning and weaving techniques were exchanged through lots of expressions and interpreting by the migrant centre volunteers,” she said. “Drop spindle spinning was shown to us as well as different ways to use our spinning wheels. Most of the visitors tried spinning on the wheels with some ladies showing they were very accomplished. “Our president Isabel Growden thanked Jenny Stirling and Leslie Barker for their negotiations in arranging the visit and thanked visitors and members for a fun and productive exchange of skills.